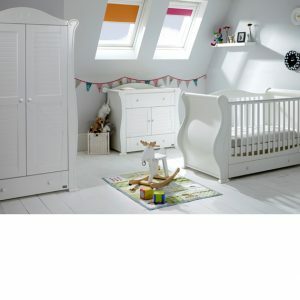 The range of Custard & Crumble designer nursery furniture sets come from famous brands such as Izziwotnot with their new Bailey and Latitude range, as well as smaller brands which you are unlikely to find on the high street, but picked for their luxury quality and difference. 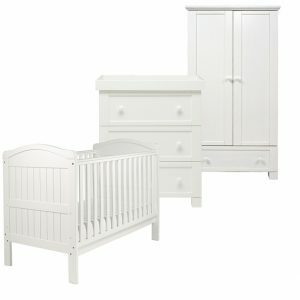 Bring some Scandinavian luxury to the nursery with the Nordic range of luxury baby furniture made from Beech and Birch wood. 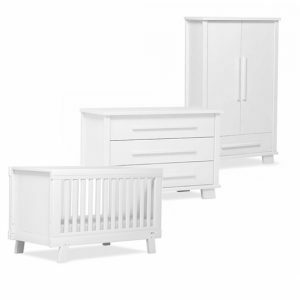 Mums will love the soft white finish of this nursery furniture combined with its chic lines. The most luxurious range comes from Bambizi, all handmade in the UK and available in a variety of finishes. 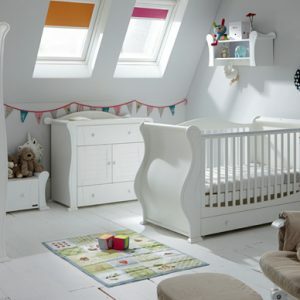 Choose between the stunning Orpheus round cot bringing a touch of class and elegance to your nursery, the beautiful lines of the Hestia range or the timeless Nestor sleigh range. If you are looking for a solid oak piece of nursery furniture, Custard & Crumble are proud to be stocking the Langham range from East Coast. 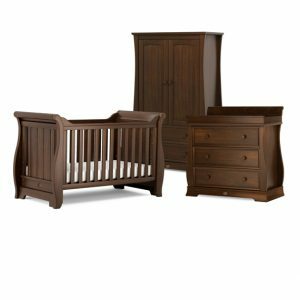 Available as a sleigh oak cot bed or standard cot bed, Mums will not be disappointed by the quality and finish of this solid oak set – available as a 3 piece. 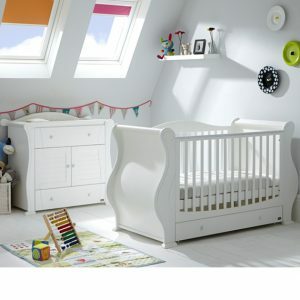 For a Victorian look to your nursery take a look at the stunning collection from Woodwork. 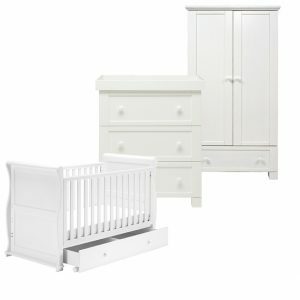 We have luxury white nursery furniture with the popular Mary set that comes as a 4 piece with cot bed, wardrobe, chest and changing tray. 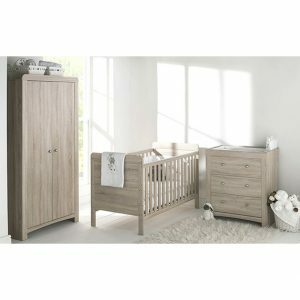 Mums will love the quality of this solid pine set, made in Belgium and delivered and assembled in a room of your choice. 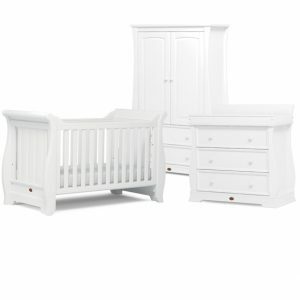 We also offer beautiful French inspired nursery furniture in sets from Marie. 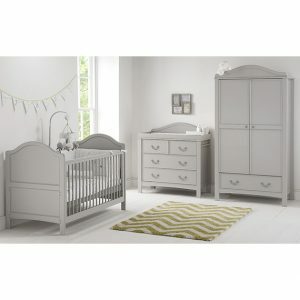 Finally, Custard & Crumble are also now offering a luxury nursery furniture set from Tutti Bambini. 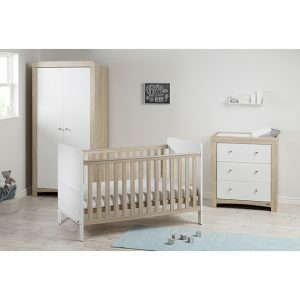 Available in a variety of styles and colours from contemporary white to traditional oak and walnut finishes Mums are sure to find something to suit their babies room!